These last days of the CD have delivered some amazing bargains for those who still like CDs – and I count myself as one, even if they are more often played through a music server than in an actual CD player. One such is the 5 Classic Albums collection of Sandy Denny (6 January 1947 – 21 April 1978), a singer with an amazing voice who was a member of the band Fairport Convention in the sixties. In 1969 Denny left Fairport to form her own short-lived band, Fotheringay. 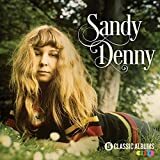 After just one album, the band folded and Denny embarked on a solo career. This set covers those solo years, during which she released four albums. The fifth album is a recording of her last concert, released in 1998. The North Star Grassman and the Ravens (1971) opens with Late November, a song originally written for Fotheringay. 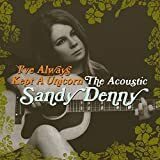 It’s a fine album, firmly in the folk tradition but also highly individual, almost jazz-like at times with its interesting rhythms and tonalities. The band includes the amazing Richard Thompson (also ex-Fairport) on guitar and several other instruments. 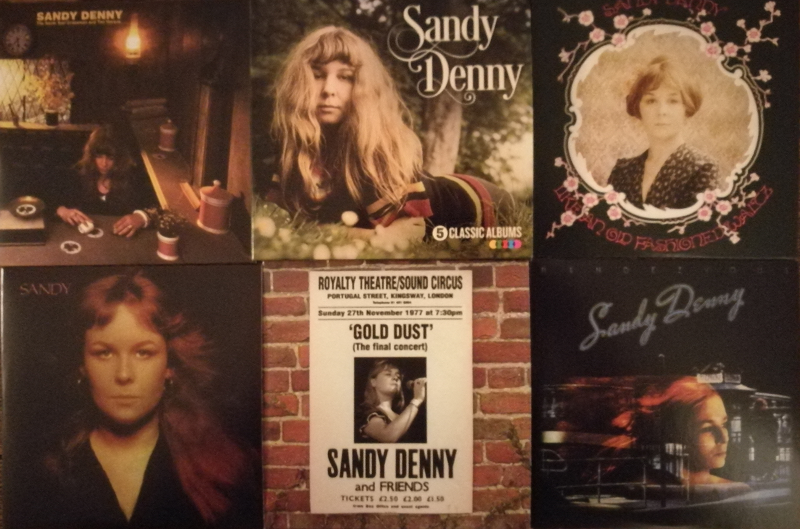 Sandy (1972) is perhaps her most celebrated album. The haunting It’s take a long time, The Quiet Joys of Brotherhood, which starts a cappella, the gorgeous Listen Listen, and more. Like an old fashioned Waltz (1974) is a more lush album thanks to strings, brass and piano accompaniments and would be better without them, though it is still very enjoyable. The opening song Solo is great and features the immortal words “I’ve always kept a unicorn and I never sing out of tune”. Rendezvous (1977) is again over-produced and poignant to hear now, knowing it was her last album. It opens with Richard Thompson’s I Wish I Was a Fool For You (For Shame of Doing Wrong) which almost sounds like a rock song, as Denny seeks a new audience. The cover of Candle in the Wind is not Denny’s finest hour but still seems prophetic: “your candle burned out long before your legend ever did”. Her voice is huskier thanks to smoking but she remains a strong singer. I’m a Dreamer is a lovely song, as is the closing number, No More Sad Refrains. Gold Dust (Live at the Royalty) (1998) is Denny’s last concert and well worth hearing. The concert was recorded and always intended for release as a live album, but there were some problems with the tapes, and some guitar and backing vocals were overdubbed for the eventual production in 1998. The song Solo is a highlight. Overall, although it is wrong to describe all these albums as “classic”, what you do get is immersion into the music of a very fine singer and songwriter. Recommended. Previous PostA Windows 10 annoyance: controlling autoplayNext PostWhy Subsystem for Linux in Windows 10 and Windows Server? And what are the implications?